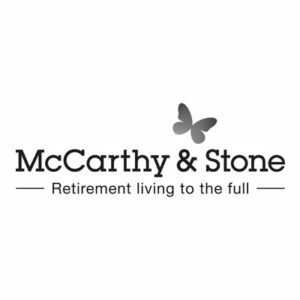 BECG has been supporting McCarthy & Stone’s corporate reputation and all their planning applications nationwide since 2013. We work closely with the client’s regional teams to develop a proactive collaborative approach to community engagement. We promote an understanding of the benefits of retirement housing and implement a detailed communications programme, including activities such as public exhibitions and meetings, one-to-one briefings, newsletters, site visits, councillor presentations, supporter mobilisation and dedicated websites. This collaborative approach to consultation has contributed to a significant improvement in first-time planning consents rising to 80% in 2016/17 compared with their previous 64% first-time approval rate. We also created an emotive video for McCarthy & Stone focusing on the crisis of loneliness in the UK, putting debate on an emotional level and highlighting the role McCarthy & Stone plays in solving the problem. The film shows an older woman watching her memories in a darkened room. It’s only at the end of the film that the audience realises that the old lady is not alone, and that the award winning developments from builders such as McCarthy & Stone are a way to solve a growing crisis of loneliness in the older generation. I’m delighted with BECG’s performance, noting some great successes in overturning officer recommendations for refusal, as well as increased media coverage. Thank you for your hard work and I look forward to working with you long into the future!